A small bible study with five faithful people on a shag carpet in a cramped living room birthed the church which exists today. From our humble beginnings to our humble present, we are still a church which recognizes our need and dependency upon the Lord. Since July 1992, we have been serving the greater East Los Angeles area and are committed to strengthening our church as well as loving "our neighbor as our self" (Matthew 22:39). Our pastor is a simple man who leads from his loyalty to the Lord and bleeding heart for those in pain. Known for his big personality and contagious laugh, his love is infectious and displayed to those around him. Our blessing is our curse at times when it comes to parking and church amenities. 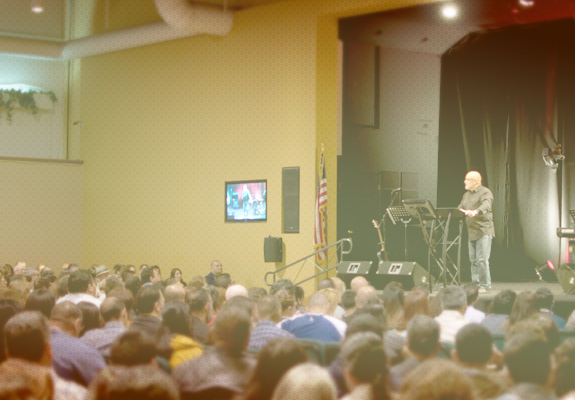 We are blessed that over 2,500 adults call The Ark Montebello their home. But at times our resources don't meet the demand. As prudent stewards of our finances, we are moving cautiously to build onto our church campus by building a new children's worship center and main sanctuary! In the future we will be able to have enough parking for you and your brood of children. In the meantime, we are grateful for those who make The Ark their community and look forward to many more years of serving God, serving each other, and serving our neighbors!